The Cave and Basin in Banff National Park was instrumental to the growth of Banff and formed the nucleus of Canada’s national park system. Authored by renowned historian E.J. 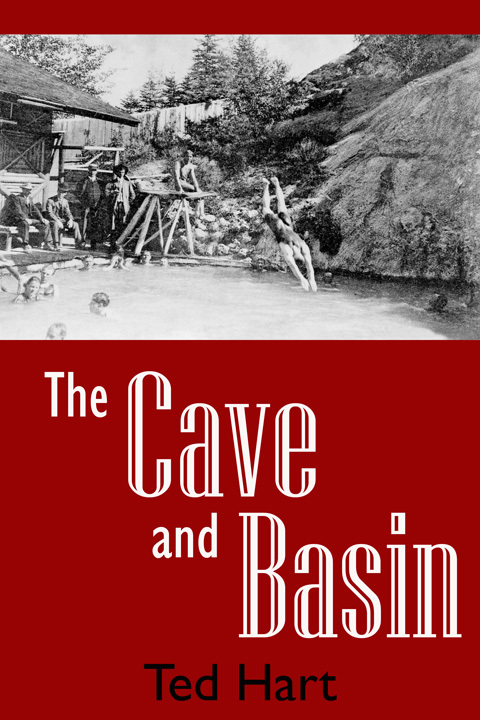 (Ted) Hart, Cave and Basin offers background on what is now protected as a national historic site, exploring the story of its discovery and the lives of those involved in its development as a world-famous attraction. It describes these unique and fascinating hot springs and how they became the catalyst for important developments in Canadian history and culture. The book details the story of the springs’ first discovery, their critical place in a government decision to create a reserve to protect them for public use and their development into a tourist location where generations of Canadians and those from around the world came to enjoy their soothing balm. In the process, the springs, and the Cave and Basin particularly, became the epicentre for both the creation and the commemoration of Canada’s national parks. E. J. (TED) HART’s life and career have been dominated by the history of Banff. Born and educated in Edmonton, Alberta, Ted graduated with a Masters in Western Canadian History at the University of Alberta in 1971. The following year he was hired by the late Maryalice Stewart to work in the archives at what was then known as the Peter Whyte Foundation, beginning what would be a 40-year-long career involved with the cultural history of Banff and the Canadian Rockies. Encouraged by noted mountain poet Jon Whyte, Ted published his first book on Canadian Rockies history, Diamond Hitch, the Early Outfitters and Guides of Banff and Jasper, in 1975. In 1976, Hart took over as the head of the Whyte Foundation, a position that evolved into the Director of the Whyte Museum of the Canadian Rockies and that he held until 2008. During this period Hart authored 12 books relating to Banff and the Rockies, including his award winning The Selling of Canada: The CPR and the Beginnings of Canadian Tourism; Jimmy Simpson, Legend of the Rockies and a work of fiction, Ain’t it Hell: Bill Peyto’s “Mountain Journal.” Between 2008 and 2010 Ted continued to oversee the archives at the Whyte Museum and work on a major biography of Dominion Parks Commissioner J. B. Harkin, published in 2010 as J. B. Harkin, Father of Canada’s National Parks. Ted retired from the Whyte Museum in 2010 and now lives with his wife, Pat, on the shore of Columbia Lake near Fairmont Hot Springs, British Columbia.